ENGINE TYPE 2 stroke engine, EFI Latest generation of ECU engine control and management. POWER 31 HP / 9200 rpm Torque and power are controlled by the ECU, depending on the engine map and gear selected by the rider. RADIATOR V special design, adapted to frame shape Maximum air intake capacity, high heat dissipation. ECU ENGINE CONTROL UNIT Vertigo design, controlling: gear position, engine temp, humidity, pressure, gas pump, water pump, radiator function, electr timming 24 Different maps available, rider able to choose from 4 maps per gear. Barrel gear sensor, can control each gear engaged The engine maps are automatically adjusted for each gear. Crankshaft position sensor This allows the ECU to adjust very accurately the settings for fuel injection and ignition system. PWM pump water control Electrical water pump and fan control allows the ECU to control the water temperature, regardless of engine speed or rider activity. POWERBOX ECU Vertigo Design Controls all the electrical power to prevent system failure. FRAME 25CRMO4 steel + aluminum 6082 High flexibility due to steel multi-tubular construction with rigidity at required points via aluminium sub-sections. SWING ARM Cast aluminum pivoting points arm, 2 pivot swivel points swing arm Reduced weight, improved pivot action with easy maintenance. 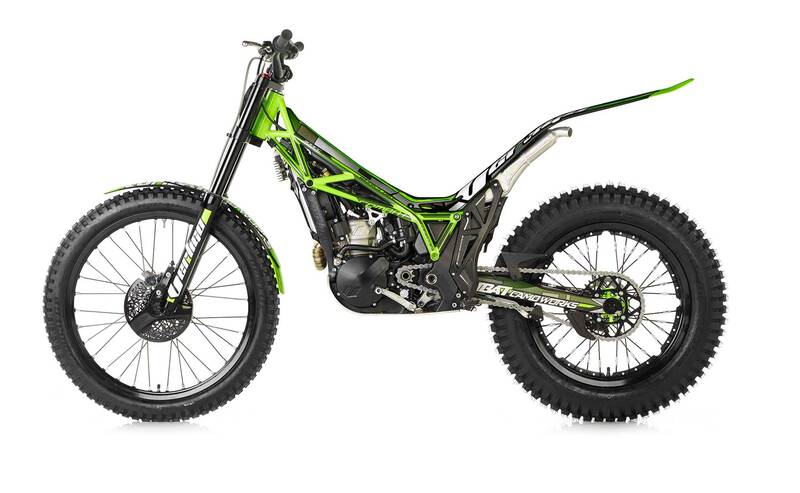 REAR SUSPENSION Monoshock / swing arm, Vertigo special swing arm combined with multiregulation Reiger monoshock Extended travel suspension, high performance with adjustable shock absorber. AIRBOX High capacity upper airbox, 1,1l capacity, airbox on top Cleaner air intake and improved water protection due to raised position. FUELTANK High Capacity Low CG, 2,7l capacity, low and centered Gravity Center position Perfect weight balance, unaffected by fuel level. Constant performance.